With the growing popularity of stand up paddling, it’s no wonder that many new board makers are entering the market. Because of the influx of the new brands of SUPs and the different types of boards that are out there, trying to make a decision on what’s the best board to buy can be a daunting task. Therefore, we’ll look at the top ten choices for the best stand up paddle boards on the market including boards used for touring, inflatables, racing, womens, and all-around stand up paddle boards to help you sort out the confusion so you can get out on that water! Nothing quite feels like gliding across a flat glassy lake. If you’re looking for a stable board, that has great glide, and want something that can carry all your gear for long paddles, then these are the top two choices for you. 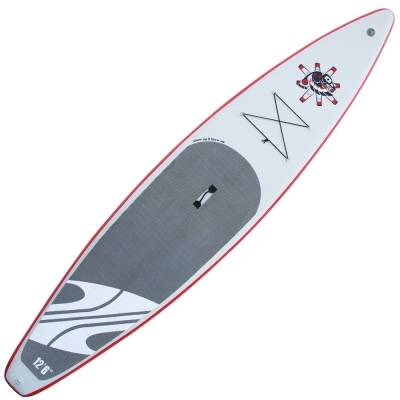 The 12’6 Boardworks Raven is a great touring board that is perfect for long paddles, training, or recreational racing. 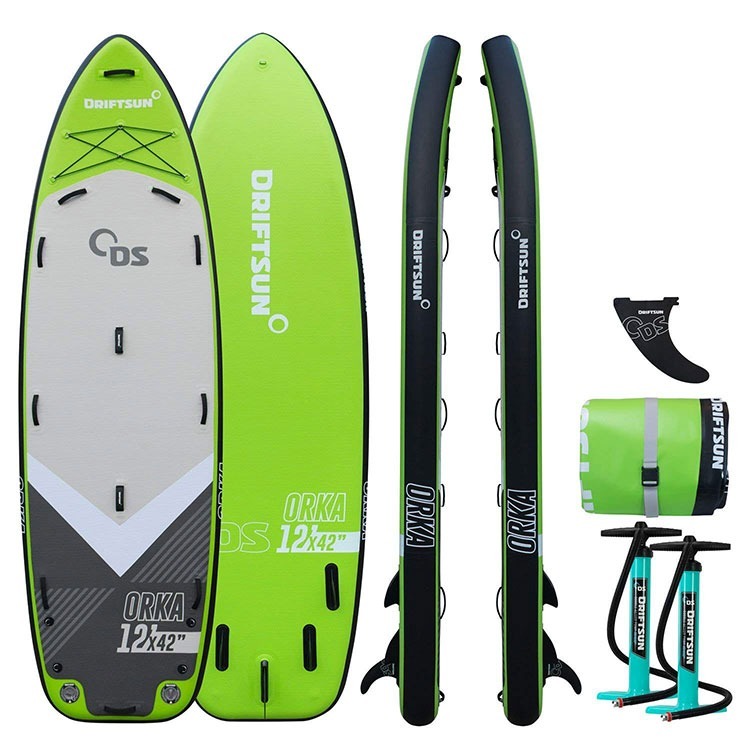 This board features a displacement hull and flat rocker that will provide smooth glide and a fast ride! The sharp “V” nose helps cut through the chop and recessed standing area makes it a stable board. The construction of the board features an EPS core with wood sandwich construction to provide durability. With a bamboo veneer finish, this board performs well and is beautiful. The specs for this board is: Length 12’6”, Width 30.2”, Thickness 7”, Volume 290L. Ideal rider weight is 250 lbs to 300 lbs depending on your skill level. 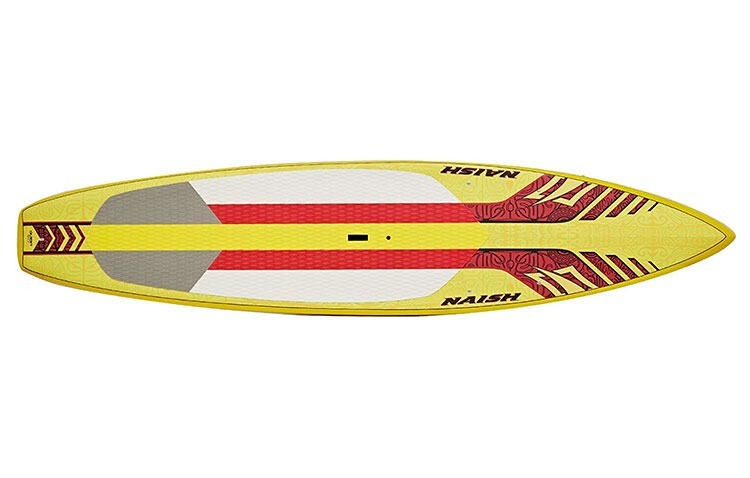 Naish Quest Stand-Up Paddleboard comes in three different profile models, they all have one thing in common–A rigid structural integrity bounded with a molded EPS closed-cell core. All equipped with a cushioned EVA deckpad for all-day support and comfort, a single fin setup for steady tracking, and a center ledge handle for easy transportation, the Quest quiver is ready for whatever you throw its way. If you don’t live close to water or paddle a lot in remote areas that you have to hike to get to the water, EPS boards present a few problems. However, with an inflatable SUP, you can paddle just about anywhere! 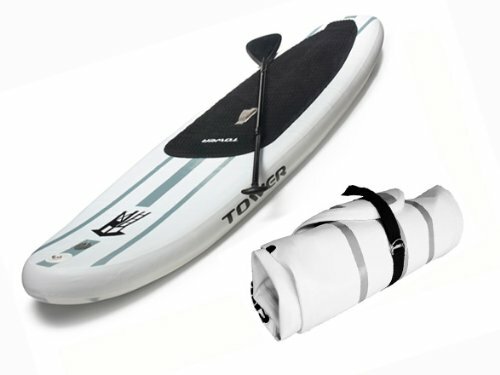 Tower Paddleboards and Badfish have some terrific options. Tower Paddleboards Adventurer 9’10” the whole reason for an iSUP is portability and the Tower does just that. The 9’10” x 32” x 6” fully inflated SUP breaks down to 1’ in diameter and 33” wide when deflated. The Adventurer is made from military grade PVC and drop-stitch construction, so it’s extremely durable. Able to hold a weight capacity of 350 lbs, it’s a great choice for any rider that is a beginner or avid paddler looking for a convenient option. This comes as a package and includes a pump and an aluminum paddle! Driftsun Orka 12’ Gear Vessel Paddle Board The Driftsun Orka 12’ Inflatable Paddleboard was designed for hitting the water as a group. It’s truly the ultimate overnight gear vessel. Capable of holding 2-4 riders with coolers, gear or your furry friend. 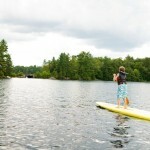 This paddle board is great for group activities, whether you’re in search of some tandem lake fishing, family fun or a wild and hilarious paddle with close friends. Maybe you’ve been paddling a while and now want to look at getting that sports car! There are some incredibly fast race models out there and we’ll look at the two best stand up paddle boards for racing! BIC Sport ACE-TEC Wing is a great 12’6 racer. Designed for efficiency and stability the WING series offers a smooth and effortless paddling experience. Perfect for sunrise cruises along your local lake, destination day-tripping to secluded spots as well as serious exploration in extreme conditions. This unique design gives the WING impressive glide as well as stability, allowing you to go further, faster and quieter than on a traditional board. Aqua Marina Race Competitive Inflatable Stand Up Paddle Board is an ultimate inflatable board for all-around cruising, long distance touring and a true racing machine. The race is designed for better rigidity, shape precision and strength. Also includes center fin, pump with gauge and magic backpack. These boards are similar to the all-arounder boards that are the most common stand up paddle boards out there. 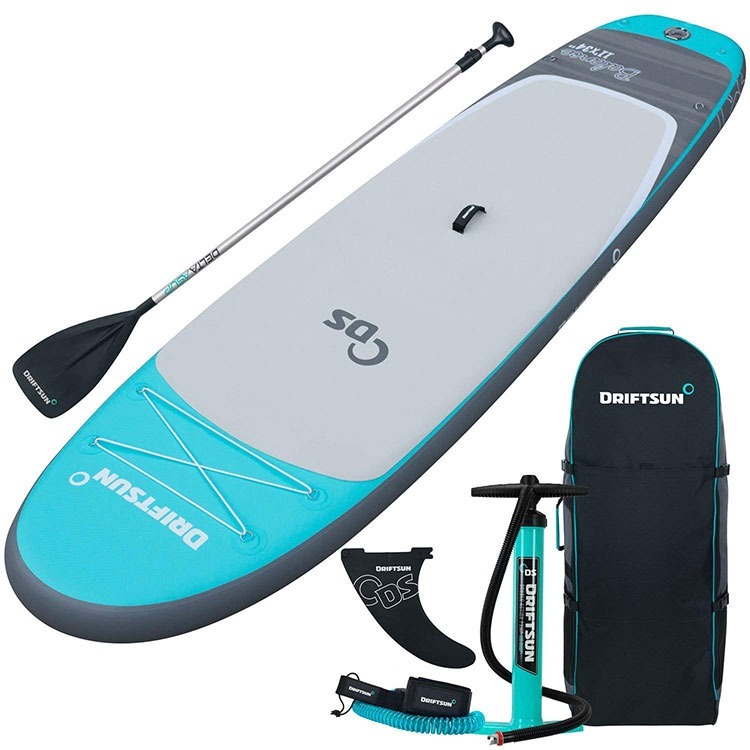 However, they take the female paddler in mind and are designed to be lighter, smaller so that they are more maneuverable for the smaller sized rider, and aesthetically geared for female paddlers. Here are two of the best! Driftsun Balance 11 is the ultimate water experience for those looking to improve their fitness and flexibility while having fun! This package combines the highest quality materials, workmanship and top notch accessories at an unbeatable price. Driftsun paddle boards were born on the lakes and rivers of Northern California. The most common type of stand up paddle boards out there. These boards are at home in both flatwater and the surf and appeal to a wide range of paddlers. If you are going to paddle different water types and want one board to do it all, this is the style of board for you! Bic Sport ACE-TEC Cross Stand-UP Paddleboard is a terrific all-conditions board. This is lightweight, durable, and has a comfortable deck pad that will keep you happy on long paddles. Specs are 10’ x 33” x 4.75” with a 195L volume. Features a thruster fin setup. This continues to be a board favorite year after year! 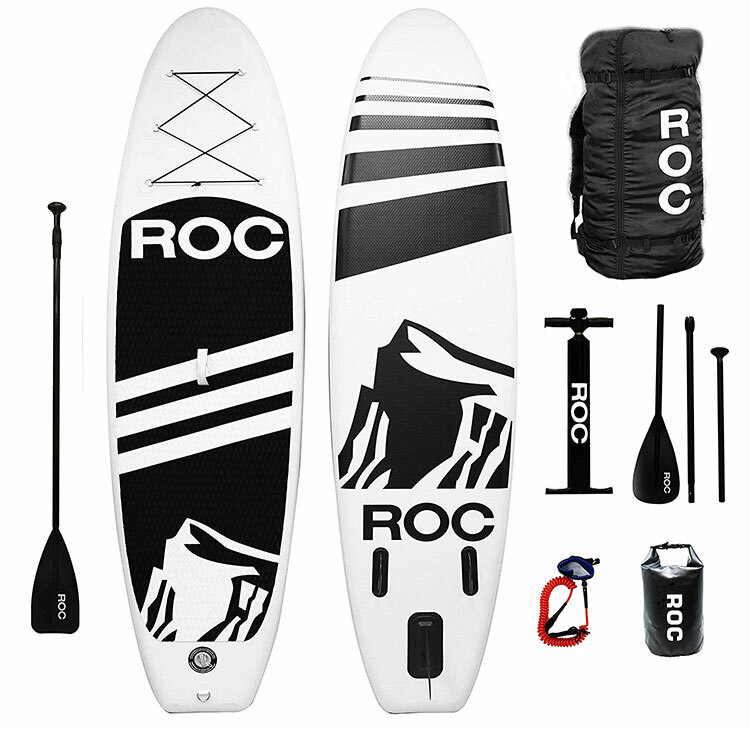 RoC Inflatable Stand up Paddle Board is another perfect board for any condition. 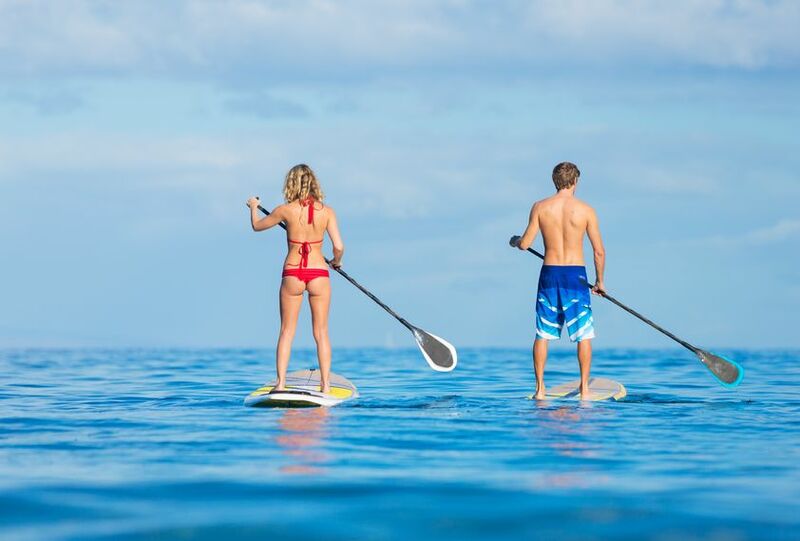 Roc Paddle Boards are EXTRA WIDE and designed to maximize stability in the water. 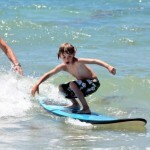 Making it a great board for all paddle boarding levels! Perfect for beginners, The 10’ Long 6” thick board is built with Military Grade Material. Making it the most durable board on the market.